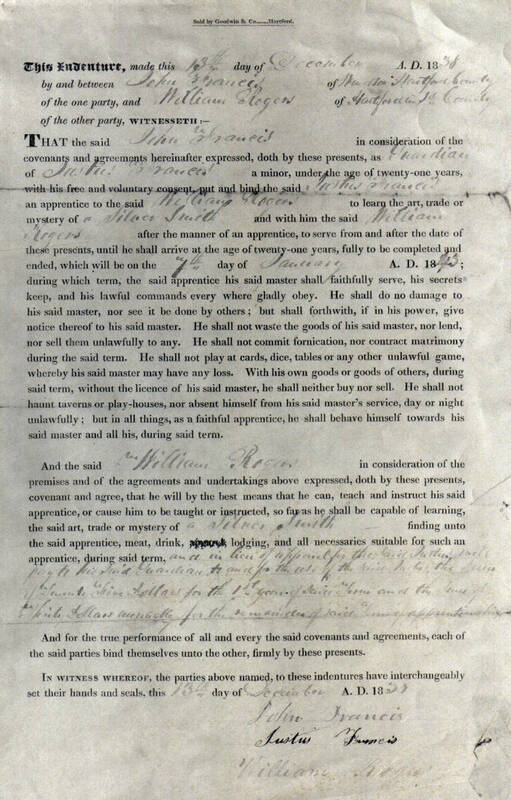 "Francis, Justus, with approval of his guardian John Francis of Hartford County, binds himself to William Rogers of Hartford County, until age 21, which will be on 07 Jan. 1845, to learn the trade of silversmith." 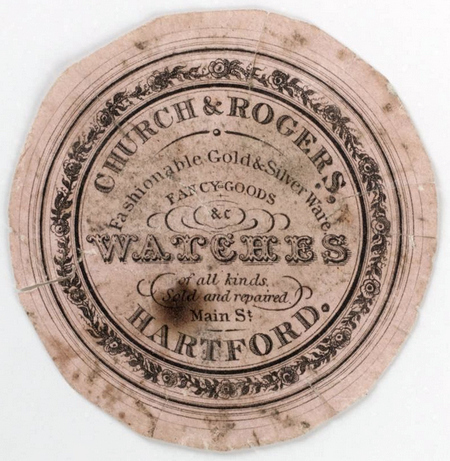 William Rogers & Co. Watch Makers, Silver Smiths and Jewelers, No. 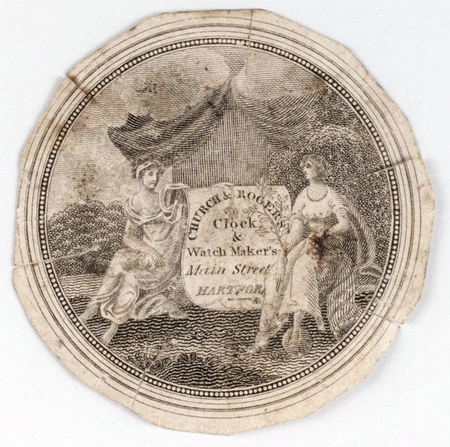 4 State St., keep constantly on hand for sale, Wholesale and Retail, Fine Gold and Silver Watches, of every description, Silver Spoons, Forks, &c. made only of Dollars; Jewelry, Silver Plated Goods, Britanma Ware, Fine Table and Pock­et Cutlery, R. Hemingway's and Law's Fine Nee­dles, Gold Pens, Gold and Silver Pencils, Thimbles, &c, at the lowest prices. 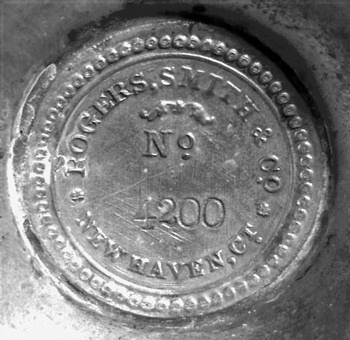 He appeared on the 1850 census taken at Hartford CT, listed as a jeweler. He appeared on the 1860 census taken at Hartford CT, listed as a jeweler. 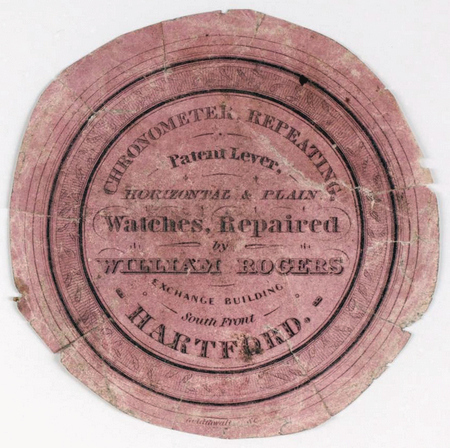 Advertised in the Bangor Daily Whig and Courier (Bangor ME), 18 May 1861, as part of a group endorsement of the Waltham Watch Company. 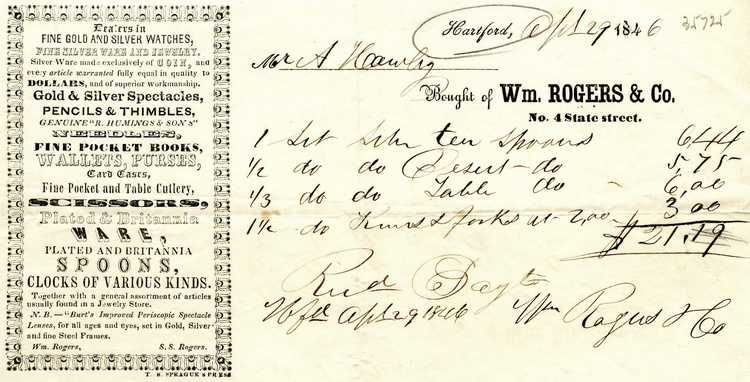 He was a partner from 1869 to 1873 with William Henry Rogers in Hartford CT as WILLIAM ROGERS & SON. He appeared on the 1870 census taken at Hartford CT, listed as a jeweler.